From the best viewing locations, to the wildest bars and restaurants along Duval Street—here's your guide to the 2017 Super Boat International World Championships taking place in Key West Florida this November. For a couple of weeks after Hurricane Irma slammed into the Florida Keys in September, many believed that the annual Super Boat International (SBI) World Championships, taking place on Nov. 5-12, might not happen. While the nation’s southernmost city was spared the kind of devastation that places such as Marathon will spend years recovering from, Key West sustained significant damage from high winds and flooding. Had the city at the end of the road decided that hosting the annual event a little more than two months after a hurricane nailed it, no one would have been surprised. Then again, combined with the Florida Powerboat’s annual Key West Poker Run, the SBI Key West Worlds bring more money into than any other weeklong event of the year. To lose that kind of revenue would add economic insult to economic injury. So while things may be a bit a soggy and there may be a few unforeseen headaches and hassles not experienced by visitors in years past, the 2017 SBI Key West Offshore World Championships—powerboat racing’s most important event of the year—are still on. What follow is a quick guide to making the most of your time in what’s become known as “Speed Week” in Key West. 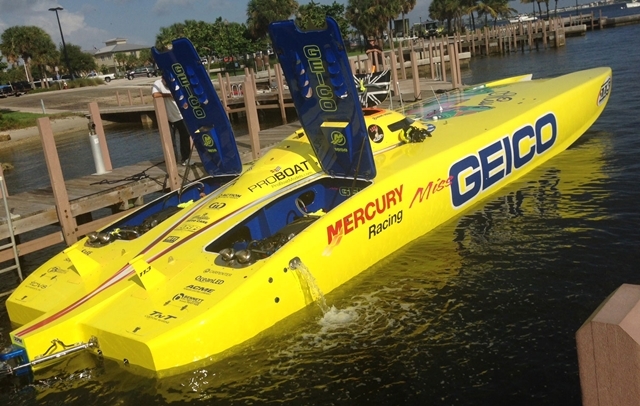 Performance Boat Center will be the Superboat-class team to beat in Key West next month. Photo by Pete Boden/Shoot 2 Thrill Pix. Let’s start with the offshore races, which happen on Wednesday, Friday and Sunday with two events with four contests involving multiple classes each day (don’t worry, the earliest race begins at 10 am). Attendees with waterfront lodging have an automatic viewing advantage, as the racecourse comes into Key West Harbor and includes the famed Mallory Square turn, which has an excellent public viewing area. Restaurants and bars on the waterfront, including the Key West Pier, offer reserved viewing areas, as do the SBI bleachers on the Outer Mole (breakwater). SBI offers several ticket options, from basic to VIP, for its Outer Mole spectator area. The SBI organization has been known to juggle classes in fleets so you’ll need to check the race schedule as the event approaches, but generally speaking the Superboat class runs at the end of the day. 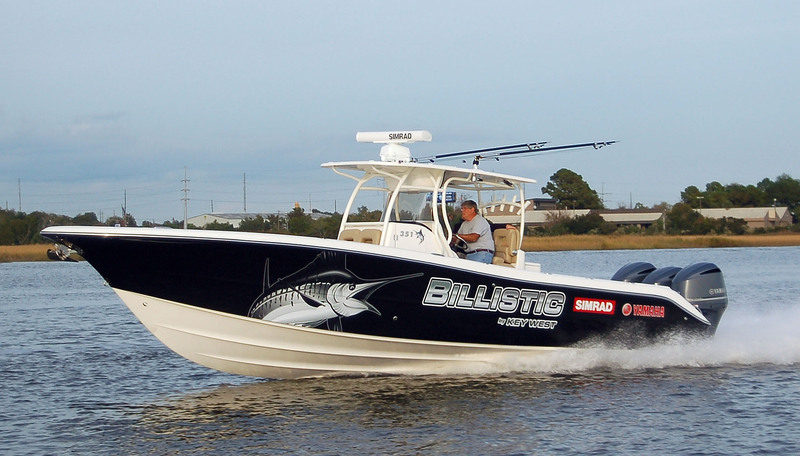 And that category—canopied catamarans from 36 to 44 feet with twin 750 HP engines—is far and away SBI’s most competitive class. Expect 10 to 12 boats in this class, with top speeds approach 140 MPH depending on sea conditions, and you won’t be disappointed. After claiming the SBI National title earlier this month in Clearwater, Fla., last year’s world champion Performance Boat Center team has to be considered the favorite this year. But there are several teams, most notably WHM Motorsports and STIHL, that also could claim the title. For the most exotic stuff, you’ll need to catch the Superboat Unlimited class, where canopied catamarans boasting twin engines north of 1,600 HP each can reach speeds of 160 to 170 MPH. Yeah, that’s fast—and if you happen to watch one of those cats such as Wake Effects, the defending world champion in the class, roar by and you’ll quickly understand how fast it really is. 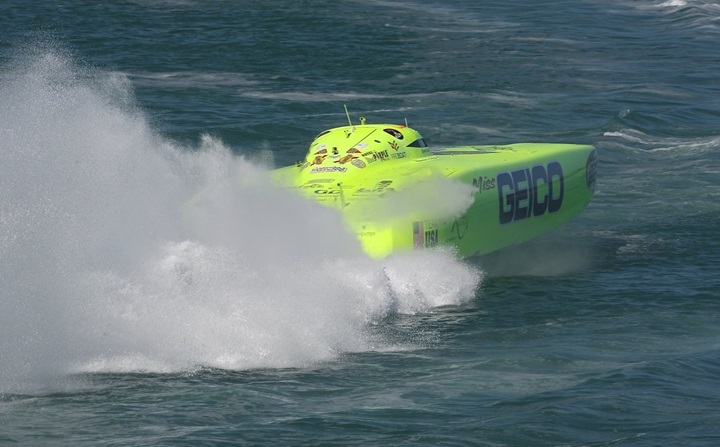 The downside with the Superboat Unlimited class is that it tends to be mechanically fragile. It’s not uncommon for less than half of the fleet to finish a race. Still, when these cats are running they are undeniably spectacular. Rusty Rahm will defend his Superboat Unlimited-class 2017 world title in Wake Effects. Photo by Luminetic Media. As for the other SBI classes, while all can provide solid entertainment in their finest moments, the Superboat Vee class is sure to thanks a 10 to 12-team fleet of what are—for the most part—evenly matched canopied V-bottoms run by highly skilled veteran teams. 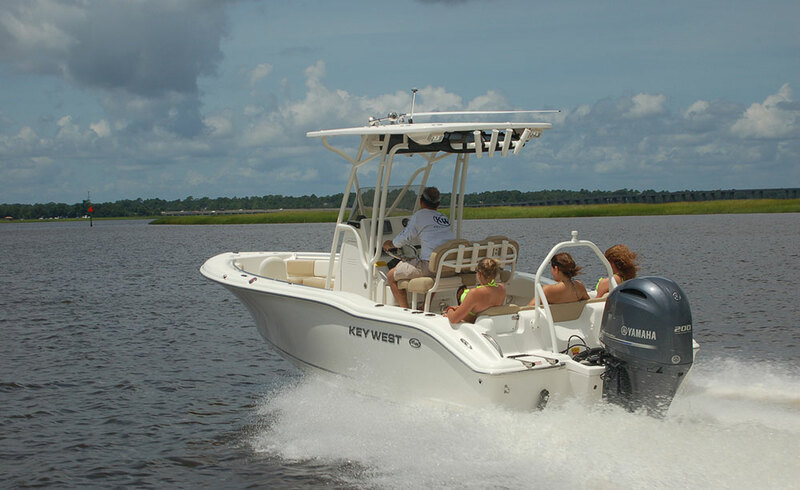 The Superboat Vee raceboats range from 29 to 32 feet long, which makes them particularly fun to watch in rowdy water. And historically speaking, the SBI Key West Worlds offer at least one day of rowdy water. In case you’ve been living under a rock, there’s this funky adult(ish) playground in Key West called Duval Street, and it’s lined with bars and restaurants, each with live entertainment. Key West actually boasts a vibrant music scene. Duval Street favorites include Sloppy Joe’s, Irish Kevin’s, the Hog’s Breath Saloon, the Sandbar Sports Grill, Rick’s and the Smokin’ Tuna Saloon. Pretty much any hour of the day, you can expect a party to be in progress at any of these well-known establishments. But you could say that during pretty much any week in Key West. Here are a couple of events/scenes to check out that only happen during Speed Week. With the Florida Powerboat Club poker run fleet heading to town the FPC Poker Run Village is sure to be a hub of activity. Photo by the Florida Powerboat Club. The Florida Powerboat Club Poker Run Village—When the bulk of the 160-boat Florida Powerboat Club fleet of the world’s finest high-performance catamarans and V-bottoms arrives at the Conch Republic restaurant in Key West, many of the boat owners and their guests will grab a cold drink and head straight for the FPC Poker Run Village, which is open day and night through Saturday. 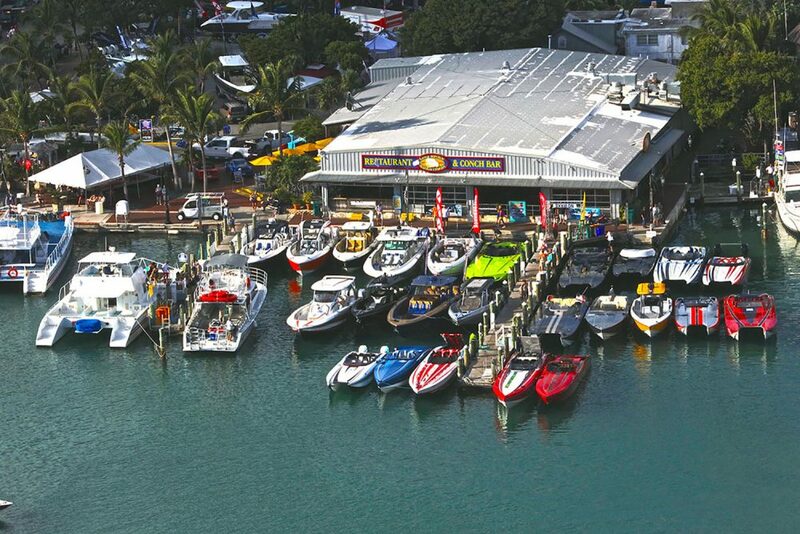 With its vendor displays, from powerboats to aftermarket products, the venue is worth at least one leisurely stroll. And it’s a very short walk from Thursday night’s OSO/SOTW party.